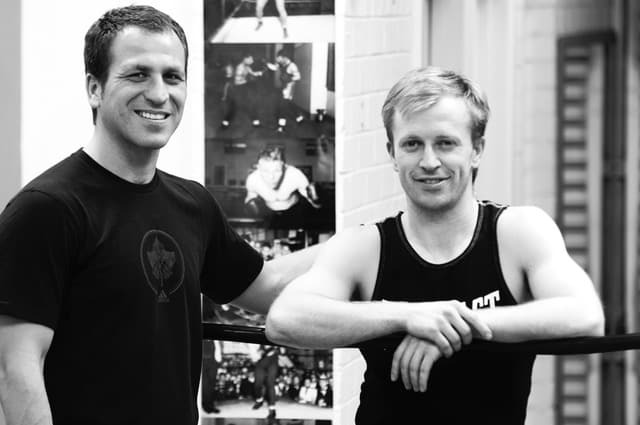 What is Resilience Boxing and Muay Thai Melbourne? Resilience Boxing and Muay Thai Melbourne uses the best of both traditional and modern day training methods to improve physical fitness and provide skills for self-defence. At Resilience we aim to provide authentic Boxing and Muay Thai training as though you were preparing for a fight, regardless of whether or not you have any aspirations to step into the ring, or just simply want to get fit while having fun. We will teach you proper footwork, technique, offensive and defensive skills, tactics, and give you a genuine insight into the technical subtleties of each respective art. Western boxing has a very long history, stretching back thousands of years. It’s earliest recorded depictions are in a Sumerian relief from Iraq from the third millennium BCE. The earliest known recorded time of boxing being practised as a sport is in ancient Greece. There, It was first introduced as a sport at the 23rd Olympiad in 688 BCE. Since those ancient times, boxing has evolved tremendously both regarding technique, rules, and training methodology. In Western Europe boxing developed as a military art of unarmed combat, and incorporated wrestling, throwing, headbutting and eye gouging techniques. In the West, boxing first began to emerge as a documented sport in the 1700s. The first historically documented rules were introduced by Jack Broughton in 1743 with the purpose of preventing the unnecessary deaths of competing fighters. These early rules included: no hitting a downed fighter, no hitting or grabbing below the waist, and a 30-second count for a downed fighter, after which time if he couldn’t continue, then the fight was forfeit. In 1867 John Chambers introduced the Marquess of Queensberry rules which included: three-minute rounds, a ten-second count for a downed opponent, the banning of wrestling, and the introduction of gloves. Boxing continued to develop, but remained a largely outlawed endeavour through much of England and The United States in the late 19th and early 20th centuries. In 1892 ‘Gentleman Jim’ Corbett defeated John L. Sullivan to become the first world heavyweight champion. Today boxing is a multi-billion dollar industry, and one of the most financially lucrative professional world sports. The techniques, training methods, and rules have evolved significantly from its early beginnings. However, it remains an incredibly effective system of self-defence, and its transition to a global competition sport has developed a method strength, fitness, and conditioning training that is one of the most well rounded and complete. Muay Thai is the indigenous martial art of Thailand, and it is often referred to as the ‘art’ or ‘science of eight limbs’ because it utilises eight points of contact employing punching, elbow, knee, and kicking strikes. Muay Thai’s origins are over two thousand years old, and it evolved and developed as the battlefield fighting art of the Siamese (Thai) people. The unarmed system of the art developed using the body to imitate the weapons of war. The hands were used as swords and daggers, the shins and forearms hardened to function like armour, the elbows to be deployed like maces or hammers, and the legs and knees to be used like staves and axes. Much of Muay Thai’s ancient origins are shrouded in folklore and legend. This is in part due to the loss of many written historical records during the Burmese sacking of Ayutthaya, the Siam (Thailand) capital in the 14th century. The modern sporting version of Muay Thai differs considerably from its battlefield origins. Older versions of the art include Muay Boran, Muay Chaiya, Krabi Krabong and Mae Mai Muay Thai. These arts employ significantly different hand to hand techniques and also incorporate training in a variety of weapon systems. Modern Muay Thai traces its history back to the famous boxing contests held between Burma and Siam in the mid 18th century. Previous to this time, Muay Thai was a sport of growing popularity in Siam and was often included as part of the entertainment at public festivals and at temple ceremonies. Bare-knuckle contests evolved into matches with hemp bound fists, which became known as Khat Chueak. These matches gained particular prominence under the reign of King Naresuan in 1560 CE. In 1920 boxing rings replaced courtyards as the primary location for holding contests. Boxing gloves gradually replaced hemp rope bound fists. However, it wasn’t until the end of World War Two that Muay Thai received the greatest exposure to the West. Thai soldiers fighting in the WW2 giving demonstrations of the art drew much interest from soldiers from western countries. The end of World War Two saw many of the formal rules that are used in Muay Thai today introduced; headbutts were removed, five-round fight durations added with breaks and time limits also introduced. During this time, Western Boxing also had a profound influence on the hand techniques of Muay Thai. In the years ahead, weight classes and a points scoring system would also be introduced. Today Muay Thai is practised in countries all over the world. It retains many of the techniques from its battlefield origins. Modern Muay Thai employs kicks, punches, elbows, knees, grappling and throws. It is a fantastic art to train for both fitness and self-defence, and is one of the most technically comprehensive systems of combat sports. I first began my Muay Thai training in 2006 with Kru Jeab. Kru Jeab had been given formal permission to represent the legendary Sityodtong gym, from Pattaya Thailand, here in Melbourne. At this time I’d been training fairly intensively in Wing Chun Kung-Fu for the past 7 years, however, I was keen to test myself in a more intense and pressured environment than the safety and comfort of my Wing Chun kwoon. Muay Thai, with its full-contact rule structure that allowed for almost any strike (kicks, punches, knees, elbows and grappling) seemed like the logical choice. I was incredibly lucky to stumble across Kru Jeab’s gym. He didn’t advertise, and it was only through the recommendation of an old training partner, whom I happened to run into, that i was able to discover the Muay Thai Melbourne Sityodtong gym. Kru Jeab ran his Muay Thai Melbourne gym like a traditional gym in Thailand. The gym was open from 3 pm to 8 pm and there was no formal class structure. You turned up, at some point Jeab would call you over, and you would get three rounds on the Thai pads with him. This was the primary means by which you received instruction and technique correction. The rest you learned through osmosis by watching the senior more experienced fighters train and the pointers Jeab gave them. Jeab’s coaching style ultimately had a big influence on me. The unstructured format allowed you to learn at your own pace and develop your own individual style of Muay Thai. Jeab gave everyone different pointers, instruction, and advice depending on their individual strengths and weaknesses as a fighter. It was definitely not a ‘one size fits all’ training approach and it is a testament to Kru Jeab’s skill and experience as a trainer that he could adapt the principles of Muay Thai to suit pretty much anyone. Sometimes, you gained the most valuable insights into the art by observing the differences in technique instruction that Jeab gave from one fighter to the next. Due to my shorter and stockier build, after a couple of fights competing in the Muay Thai Melbourne scene, it became clear that I was going to have to specialise in infighting. This was also in part because of Melbourne’s multicultural diversity. My opponent’s were from ethnically diverse backgrounds and their height and reach varied considerably. Given my background in Wing Chun, focusing on the infighting game made sense, as it was also the range that I was most comfortable at. To further refine my skills in this area, a mutual friend and mentor suggested that I train with a former student of his Lim Jeka. I had known of Lim’s reputation for some time. He was a former Australian pro champion, and amazingly, had risen to the top of the sport in this country despite having a club foot and almost no calf muscle in his front leg. 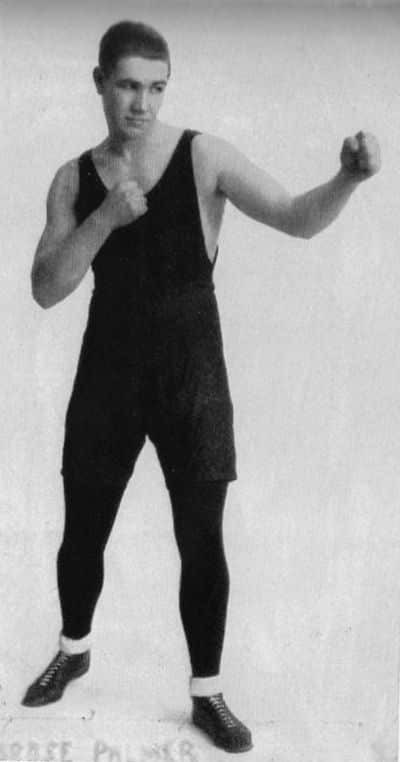 Lim had been trained by legendary boxing master Roger Hagan, who had been the right-hand man of Ambrose Palmer, Australia’s most famous and successful boxing trainer. At this time in his coaching career, Lim was just starting out and was training people in his garage at home. I was his first student. I still remember that first training session like it was yesterday. Eager to impress, I shaped up to the pads, and when Lim asked me to throw my right cross, I gave it everything I had. Immediately after I had connected with the pad, Lim bashed me over the ear with the pad so that my ear was ringing. Lim then told me, “Your right hand came back too slow and dropped. You drop your hand again, I’m gonna hit you again. And each time they’re gonna get harder!” Needless to say, I didn’t drop my right again for the rest of that session. Thus began my love affair with boxing, which continues to this day. I still get out for a regular weekly session with Lim on the pads to keep my skills sharp. Boxing helped my overall Muay Thai game immeasurably. Lim’s instruction effectively doubled my punching power, teaching me the ‘old school’ art of hitting hard at close range with no wind-up or preparatory movement. Boxing’s evasive defensive movements also added another dimension to my fighting style, making me harder to hit, and able to counter sooner. Punching is not emphasised in Muay Thai. The Thai’s rarely slip and move their head when punching. Instead, punches are used predominantly to set up the more damaging, and higher scoring kicks, knees and elbows. Lim’s tutelage gave me a significant advantage at close range. Having shorter limbs and better leverage than most of my opponent’s in close, I could hit hard, even when clinching and in the grapple. Because of Lim’s disability (clubfoot), when competing as a fighter he couldn’t dance and move quickly, in and out, like most modern fighters do. Instead, Lim had to often fight from the clinch. He necessarily developed a boxing style that involved getting in close, and staying in, and using lots of evasive body movement. For me, this style of boxing was the perfect compliment to my Muay Thai training and gave me a valuable competitive edge. A couple of years after I had begun training with Lim, I met Lim’s younger brother Reg. 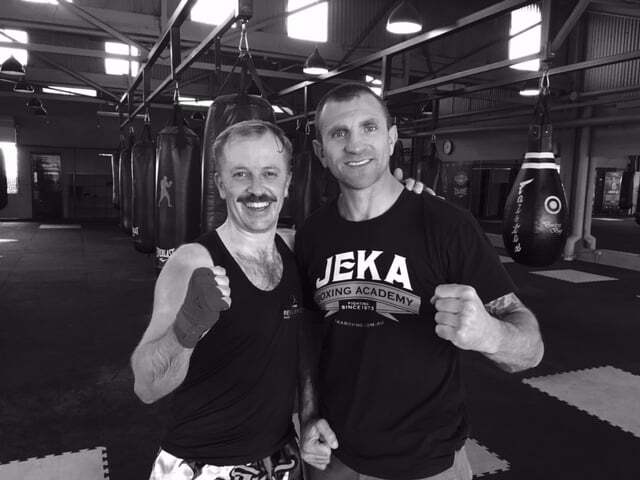 I began training some of my own client’s at Regy’s gym Round One Boxing South Melbourne, and periodically trained with Reg whenever I could, eager to get his perspective on the art. Regy had also trained under Roger Hagan and had been an Australian champion in his own right, winning numerous amateur titles. Although they had both learnt under the same boxing master, Reg and Lim’s interpretation of the art and its application was vastly different. While confusing at first, this difference in perspective was invaluable and gave me a rare and unique insight into understanding this particular style of boxing. Regy was hugely influential on the method and style of instruction that I would ultimately develop to coach many of my own clients, and I owe him a huge debt of gratitude for the knowledge that he has passed on to me. 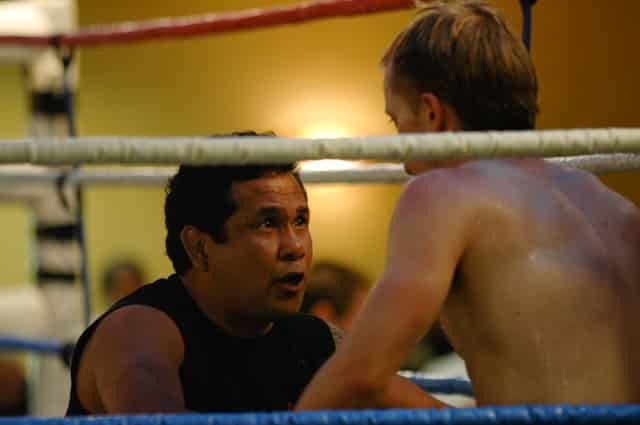 How does Boxing and Muay Thai training work? 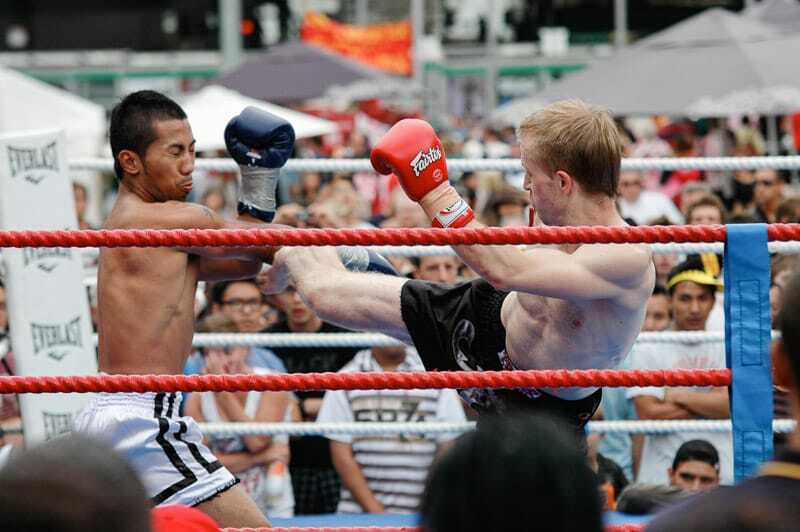 At Resilience Muay Thai and Boxing South Melbourne, a strong emphasis is placed on creating a solid foundation of correct technique and proper body mechanics. Traditional offensive and defensive techniques are taught and explained thoroughly within the context of strategy and ring craft. Training incorporates pad-work, shadow boxing, focus mitt drills, skipping, heavy bag work, speed ball and floor to ceiling ball drills. Boxing and Muay Thai specific strength and conditioning training is also included, and is tailored to suit individual requirements. Sparring is not a requirement for participation in general training and is available on request to members interested in exploring the combative aspects of the art further. Is Boxing and Muay Thai Training Right for me? Boxing and Muay Thai training is currently offered in personal training sessions, by appointment, for individuals or small groups (of up to 4 people). Boxing training is also offered as a weekly group class. Boxing Classes Melbourne Training times. Boxing classes are held on Tuesday and Thursday evenings at 6pm. Boxing classes run for run for an hour and are open to all fitness and experience levels. Book online here or contact Chris Gauntlett to book a trial session. Numbers are limited and bookings are essential. For specific fitness requirements and needs, contact Chris Gauntlett directly to find out more.